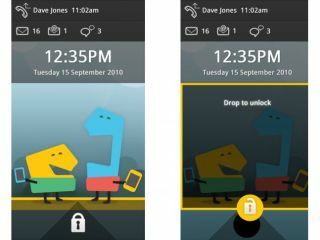 Nokia's long-awaited Meego platform, its tie-in with Intel, has been shown off in multiple pictures. The new screenshots show off a new operating system that takes its cues from Nokia's Maemo system (used on the N900) the iPhone's iOS 4 system and the Palm Pre's WebOS. The official MeeGo blog brought the pictures to the world, showing elements like a variety of ways to perform most tasks, such as unlocking the screen or multi-tasking. An iPhone-like grid of icons was to be expected, as was multiple home screens, so we're glad to see Nokia getting the basics right here. Maemo's way of doing things is apparent too, where the focus is maintained on certain elements of the screen by blurring out the backgrounds. A huge number of gestures are detailed in the developers specifications, such as double long press tapping - which sounds like it could get a little confusing. But we're still hopeful that Nokia will turn the corner - if Meego lands on devices in the near future (such as on the N9, if it turns out to be real) we might FINALLY see Nokia closer to the sharp end of the smartphone market.